At 18 Simon started a degree in Maths learned to juggle and dropped out! Following a variety of occupations from restoring VWs to running a juggling shop, he signed up for a degree in accountancy and law at Bradford College which he successfully completed. Experience at a charity accountants firm led him to WYCAS where he has worked since January 2003 initially as a Community Accountant and then as Finance Manager from December 2008. Lis was born and brought up in Halifax. She went to Leicester to study accountancy and started working in practice there before returning to West Yorkshire where she worked in practice in Leeds and then as an accountant in the printing and advertising industry prior to joining WYCAS. She qualified with ACCA in 1998. Lis lives in Wakefield, she enjoys Pilates, walking and gardening, the occasional glass of wine and socialising with family and friends. 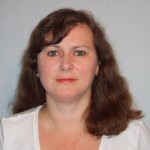 Helen previously worked for 11 years at a university within the financial accounts and taxation section. Prior to that she worked in the private sector performing a variety of accountancy roles. Helen enjoys going to the gym, DIY and fine wine. She also has two boys who keep her on her toes. Helen joined WYCAS in May 2005. After leaving education Miranda undertook an Arts Council two year Arts Administration training placement. She spent time working as Assistant Arts Administrator with a theatre company and dance company, and from their began work within the voluntary sector. 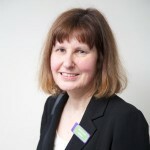 Miranda has worked as a charity administrator for over 18 years and has also spent time supporting vulnerable children. Miranda enjoys theatre, arts and crafts and reading. 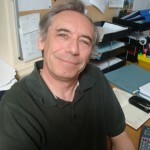 Steve joined WYCAS in June 2007 and will be working with groups to provide a bookkeeping and ’infill’ service in addition to preparing and independently examining annual accounts. 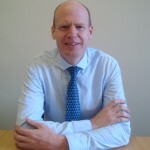 He has worked in finance and administration for over 30 years and has 8 years experience of working with the voluntary sector. When not ’on-duty’, Steve enjoys sport, travel and music, as well as his main interest – studying and collecting artefacts relating to space exploration. Susan has had a varied career history starting with hairdressing over 45 years ago. A move to the Grand Theatre (Leeds) in 1979 provided training and experience in accounts. 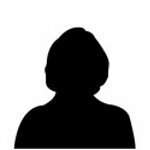 In 1989 she joined Leeds Metropolitan University and worked in areas of finance, health and safety and harassment counselling. 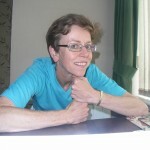 Susan enjoys cooking, walking the UK coastline and crafts. Susan joined WYCAS in November 2005. Claire is a southerner, having started life in Hove, East Sussex. 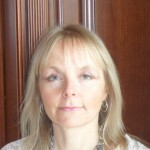 She moved to Leeds whilst studying for her CIPFA qualification in 1995. She has worked in public finance for over 15 years including time at the DSS (Quarry House), City of York Council and Leeds Teaching Hospitals Trust. In her leisure time Claire plays badminton, walks, cycles and tends her allotment. Activities which change with the season! Claire joined WYCAS at the end of February 2009. After qualifying as a travel consultant in 1997 Sarah spent 12 years working in the travel industry booking holidays, flights and luxury tailor made holidays for clients. Before joining WYCAS, Sarah spent 8 years working as a debt advisor for Step Change debt charity, where her work involved speaking with clients and helping them find debt solutions through either repayment plans or insolvency solutions. 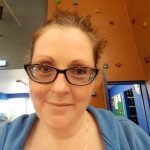 Sarah has 3 children who keep her busy so when she does get chance for time off she likes to read and take part in her son’s scouting activities.